Here's a list of both popular and lesser known Amsterdam tourist attractions. 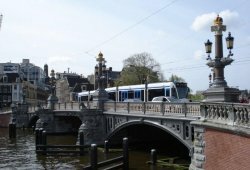 The Bloemenmarkt and the Amstel River area are well-known tourist attractions in Amsterdam. But Amsterdam highlights like the Westerpark complex and the Amsterdamse Bos (Amsterdam Woods) are off the tourist map. Located in the Singel area, the Bloemenmarkt is a semi-floating flower market with over fifteen florists and garden shops. Witness the rapid gathering, wrapping, and exchange involved in the most famous of the city's flower markets. The Bloemenmarkt has been a tradition long before airlines released herds of tourists into cities. For 300 years, this location has hosted the sales of flowers. No surprise then that, next to the tourists, Amsterdam locals also enjoy this quintessential flower market. 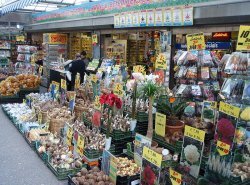 And, if you are discouraged by the thought of bringing home wilted flowers to your lovely back home, you should stop by the Bloemenmarkt to take home some bulbs. The list of Amsterdam tourist attractions continues with the Westerpark, a green space that's much more than just a plot of grass and trees. While smaller and less crowded than the Vondelpark, Westerpark also has an open-air theater and events stage, allowing the free-loading traveler to enjoy the sounds of headliners sans pay. The park sits next to the Westergasfabriek, a former gas factory that the city eventually put to use as a haven for temporary art projects. Today, the building is an interesting ode to building re-purposing, on a more permanent basis, housing art, al fresco cafes, and an art house cinema (Het Ketelhuis). At night, stick around for the party at trendy Flexbar and Latin-flavored Pacific Parc. Amsterdam derives its name from the Amstel River. The city itself is a product of the damming of the river. Now do you understand the name Amster-dam? You owe it to your appreciation of the city to visit this river. Better yet, hop on a bike and follow it for a bit. It's among the leading Amsterdam tourist attractions. Start at the Blauwbrug, the "Blue Bridge" at the junction of the Amstel and the Herengracht. You may recollect sights of the Senne, as this bridge was based on the Pont Alexandre III in Paris. Continue the journey to the Magere Brug, the "Skinny Bridge," illuminated by 1200 lights in the evening. The grand building to your left is the Carré Theater, a performing arts venue that once housed a circus. Continue down the river and hop off your bike at the noteworthy landmark, Amstelhof, that for hundreds of years was an aged-woman's home. Recently, the building reopened as the Hermitage Amsterdam, a dependent of the larger and original Hermitage in St. Petersburg (Russia). The displays in this museum are quite lavish, exploring the opulence of the Tsarist age in Russia. Why stop there? Continue down the river into the countryside where you'll find the Windmill De Rieker. This early 17th century mill was designed to drain the polders which are used to drain low-lying land and today houses a family. 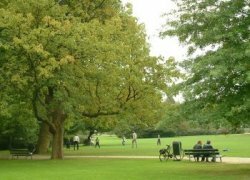 The Amsterdamse Bos (Amsterdam Wood - though it's more like a big park) is nicely outside the top 10 of best-visited Amsterdam tourist attractions. So if you're fed up with crowds, you can get some quietness and fresh air here. Here you can rent a bike, a canoe, or even a horse. There are two farms that you can visit. Our favorite is the goat farm (geitenboerderij) "De Ridammerhoeve": a cheese farm with terrace, a restaurant and a small shop selling organic products. Children can get in with the goats and feed them. The other farm, Boerderij Meerzicht, has a pancake restaurant and animals to pet, too. The Amsterdam Wood also has an open air theater and a "naturist area", a designated area to enjoy the sunshine in Adam and Eve's costume. 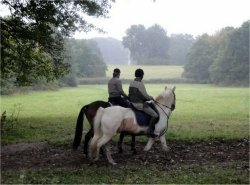 The wood is a 4 km from the city. To get there by bike, go towards the southwestern part of the city via Amstelveenweg, then turn right at the first big crossing. From the Central Station, take bus lines 170 and 172. From the RAI station, lines 66 and 199. 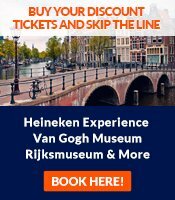 Want to read more about Amsterdam tourist attractions? See our pages about attractions in Amsterdam.